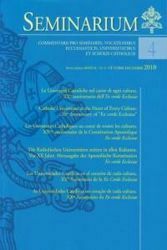 Annual subscriptions and back issues of the official magazines, periodicals and bulettins published by the Holy See: Notitiae, Path, Acta Apostolicae Sedis, Communicationes, Seminarium, Educatio Catholica. 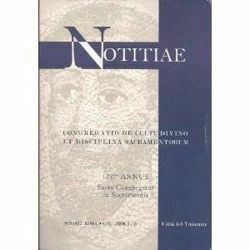 Acta Apostolicae Sedis 2019 - Annual subscription Commentarium Officiale. Semel prodeunt in mense. 12 issues / year. Educatio Catholica - Annual subscription 2019 Periodicum Internationale editum a Pontificia Academia Theologiae. Educatio Catholica is a periodical publication made of four issues / year. Acta Apostolicae Sedis 2018 - Annual subscription Commentarium Officiale. Semel prodeunt in mense. 12 issues / year. Annual subscription 2018. 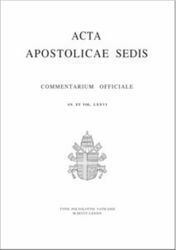 Acta Apostolicae Sedis 2018- Supplemento per le Leggi e Disposizioni. Commentarium officiale. 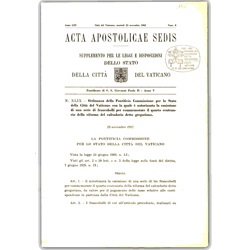 Supplemento per le leggi e disposizioni dello Stato della Citta del Vaticano. 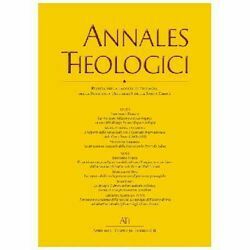 Annales theologici - Subscription 2018. Annales Theologici - Semiannual review of Theology promoted by the School of Theology of the Pontifical University of the Holy Cross (Rome). 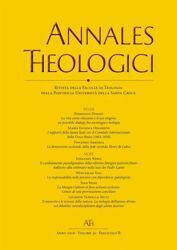 Annales theologici - Full Year 2017 Annales Theologici - Semiannual review of Theology promoted by the School of Theology of the Pontifical University of the Holy Cross (Rome). 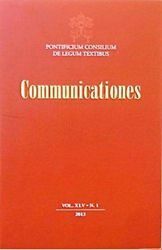 Communicationes 2018 - Annual subscription The journal Communicationes was founded in 1969 and it is published by the Pontifical Council for Legislative Texts. Biannual publication. 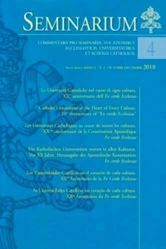 Educatio Catholica - Annual subscription 2018 Periodicum Internationale editum a Pontificia Academia Theologiae. Educatio Catholica is a periodical publication made of four issues / year. 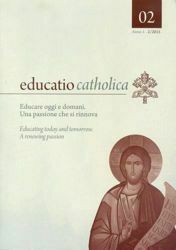 Educatio Catholica - Full Year issues Periodicum Internationale editum a Pontificia Academia Theologiae. Educatio Catholica is a periodical publication made of four issues / year by the Pontifical Academy of Theology. Periodicum Internationale editum a Pontificia Academia Theologiae. Back issues from 2002. 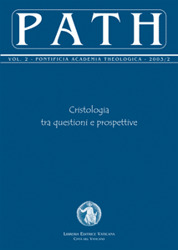 Periodicum Internationale editum a Pontificia Academia Theologiae. Path - Annual subscription 2018 Semiannual review: 2 issues/year. Periodicum Internationale editum a Pontificia Academia Theologiae. Path - Annual subscription 2019 Semiannual review: 2 issues/year. Commentarii pro seminariis, vocationibus ecclesiasticis, universitatibus et scholis catholicis"